We have an expanding range of models and films and games for purchase. Some products are still under construction. If you would like more information, please contact us, here. Tobop movies and games available through itch & Steam! 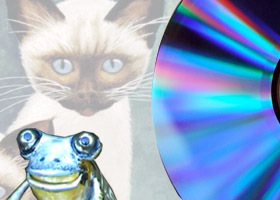 Benjamin Banjo Frog & Titanic Dog Film Bundle Here! Benjamin Banjo Frog DVD - Part 1 Part 1 is available for purchase on eBay, here. More details here. Tobop Tips Soon, everyone can find out the Tobop way of making clay mations and models. Other Movies We can create personalised DVDs for people at low cost. More details here. ModelsCheck out our 100% hand made models, here. More details here.